Natural disasters can have a disproportionate impact on women and families - especially during evacuations. Displacement removes you from everything familiar, but one thing that doesn't change are the basic necessities. That is why Lift Louisiana is collecting donations of diapers, formula, and feminine hygiene products for our sisters and mothers in TX. They will be sent to The Texas Diaper Bank in San Antonio. Circle of Health International - Sends professionally trained healthcare staff, like midwives and doctors, to provide care to women and children in disaster areas. The Homeless Period Project (Austin and RGV) - Distributes tampons, pads and other period-related items to those displaced by the storm. Texas Diaper Bank - Provides emergency diaper kits (which are not distributed by relief agencies) for babies, seniors and people with disabilities. Project Row Houses - Community-based arts and culture organization in Houston’s Third Ward providing support for young single mothers. CASN - Houston-area organization that provides practical support to people seeking abortion in the form of housing, transportation and other needs. Fund Texas Choice - Statewide practical support network that provides transportation and lodging to people who must travel to access abortion care. The Black Women’s Defense League - A Dallas-based organization that is working with Houston activists to determine what underserved communities need. RAICES - Has been working with Texas shelters to find housing for women and children stranded by Immigration and Customs Enforcement (ICE) after being released from detention centers, provides legal services and advocacy to immigrants, and runs a shelter in San Antonio. 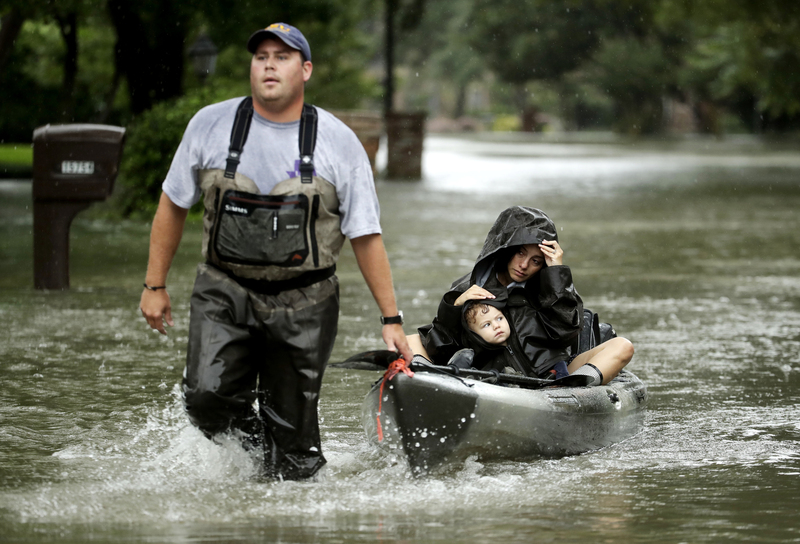 ICNA Relief - Also known as Muslims for Humanity, is a nonprofit that has committed aid to residents of Southern Texas after the devastation of Harvey. Portlight - Assists people with disabilities who have medical needs or require shelter as a result of Hurricane Harvey. Transgender Foundation of America Houston - Created a relief fund in the Houston-area for trans and intersex people, two groups who are often turned away from shelters during disasters. Women and girls in natural disasters face increased risks of sexual violence and urgently need sexual and reproductive healthcare services, such as care for pregnant women, access to contraceptive information and services, including emergency contraception, and access to safe abortion and post-abortion care. Displacement makes it considerably more difficult to access these services. Addressing sexual violence and the lack of sexual and reproductive health information and services in disaster management and recovery is central not only to an effective humanitarian response but also to fulfilling fundamental human rights obligations.